When the alternator is no longer generating power, your vehicle will slowly run down the battery until there is not enough power to fire the spark plugs, at which time your engine dies. You can recharge your battery, but you'll be lucky to get more than a few minutes out of the battery without the alternator applying a steady charge to it. When the battery loses charge, along with no voltage being produced by the the alternator - the combustion of the engine is compromised. This can result in misfire, inefficient fuel consumption and the possibility of the exhaust baffler exploding! this is because the unburnt fuel gets pushed into the exhaust, where it then ignites. 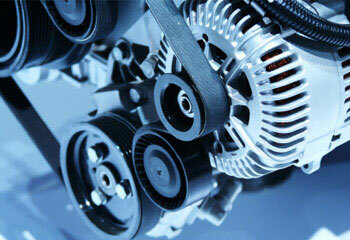 Dana Brothers Automotive can check your alternator and replace it if necessary. Our technicians are familiar with many types of alternators being used in today's engines.